Une passade | One quality, the finest. 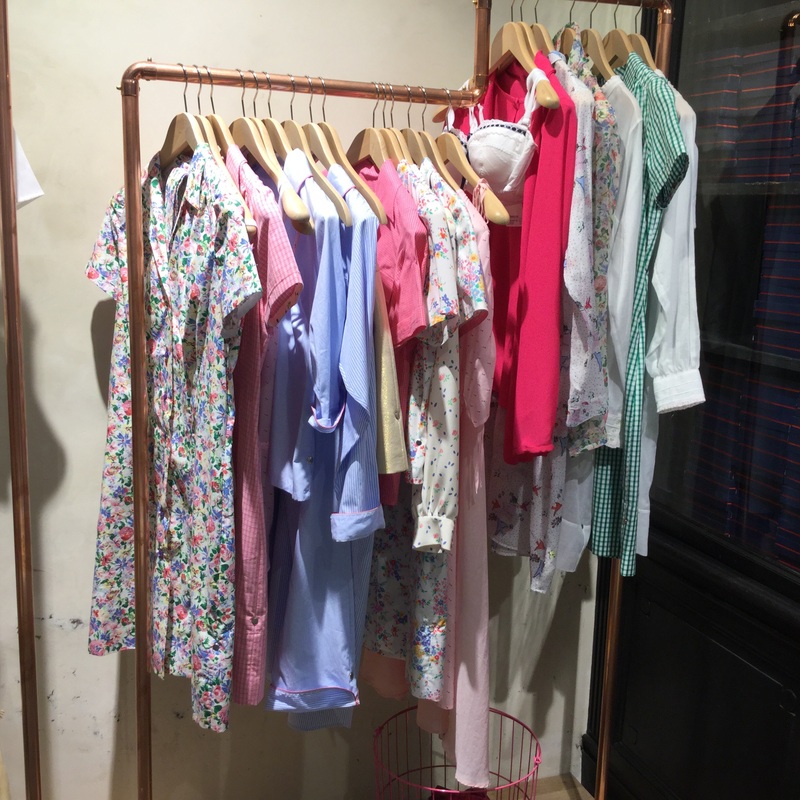 When I heard that Inès de la Fressange had opened a new boutique on super-chic rue de Grenelle in Paris, I made a point of checking it out. I’ve been slightly in awe of the long-legged former model and muse for Karl Lagerfeld since long before her book Parisian Chic started a feeding frenzy in the how-to-have- French-style genre. The boutique is a distillation of a lot the cute types of things she recommends on the Inès’ Little Diaries videos on the Roger Vivier YouTube channel. There are vintage-y clothes, leather goods, adorable kitchenware, and gifts for the favorite children in your life. I really liked the clothes, especially the simple dresses whipped up in the atelier at the back of the store. Small-scale checks, stripes or floral prints were sewn into clean-lined summer dresses. They weren’t cheap, however, at around 350 – 400 Euros each. I was very tempted by a thin leather belt and may yet go back for it even though it’s not exactly what I was looking for. If you aren’t able to stroll over to 24 rue de Grenelle to check it out, there is a website, but it does not have the full range – for example, neither the belts nor the dresses are there. Une passade (oon pass-add) means a whim or a fancy. 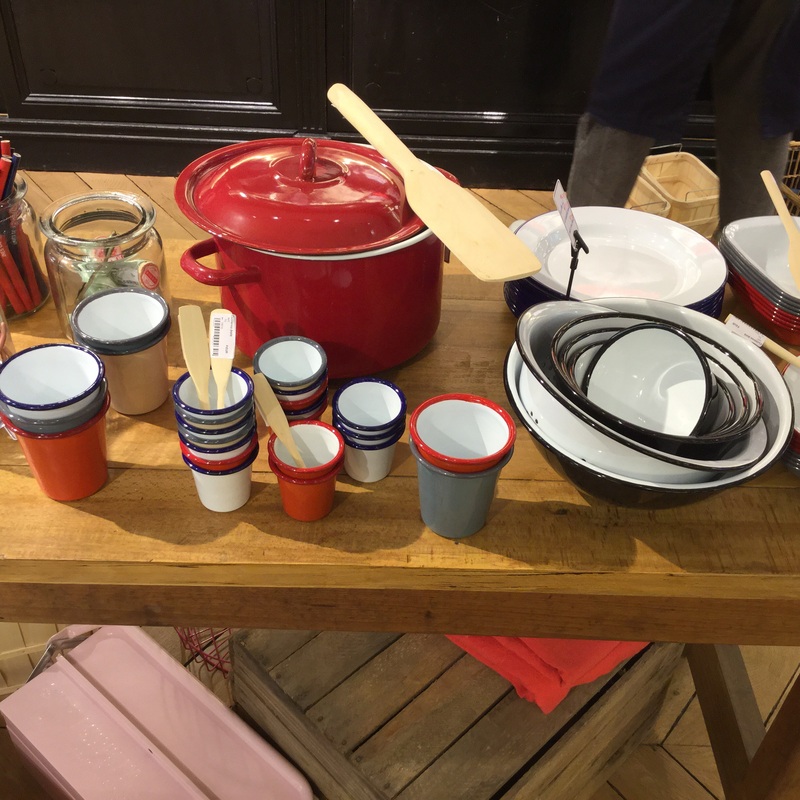 Inès de la Fressange’s boutique has enough delectable merchandise to help you satisfy your passades – just bring a lot of cash with you. 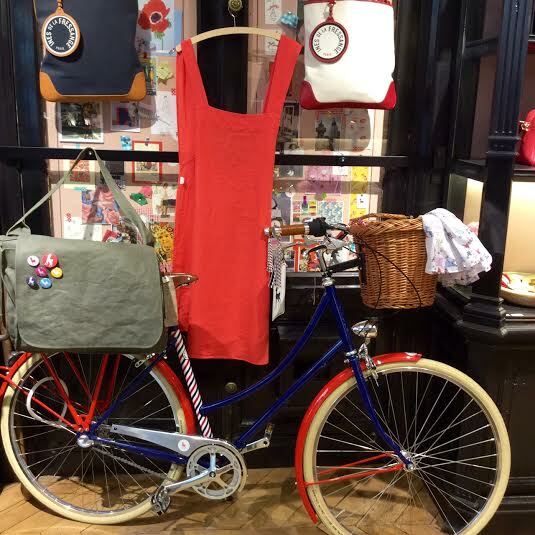 This entry was posted in Shopping and tagged Inès de la Fressange, Parisian chic, une passade. Bookmark the permalink.